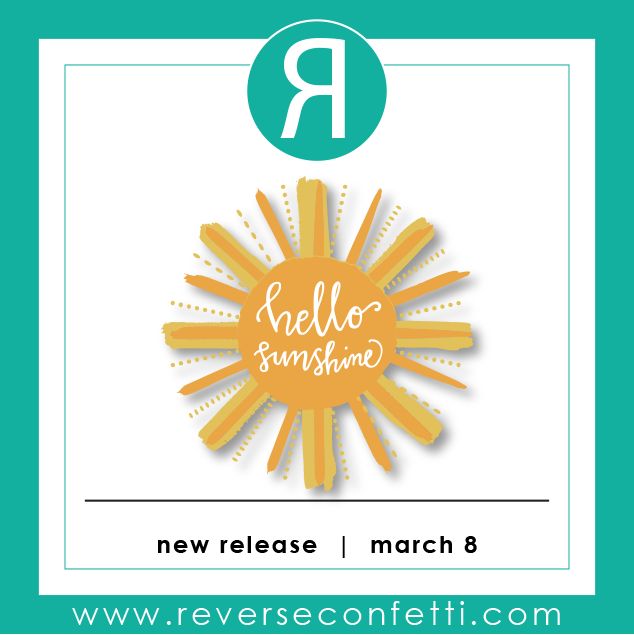 It's Day Three of the Reverse Confetti Countdown to Confetti! 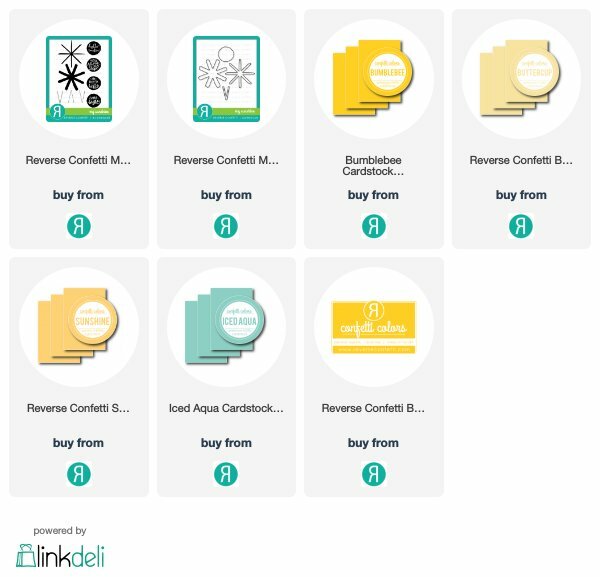 You are going to be amazed at all of the new products for this month! Tomorrow is when the new products will be available. Please note that product links will not be active until release day/time. This month we welcome Christiana Reuling+ Emily Midgett as our 'Fetti Friends! I'm loving the Bumblebee and Iced Aqua combo, how about you? I used the "*" from the My Sunshine set and heat embossed it in clear on the Iced Aqua panel. 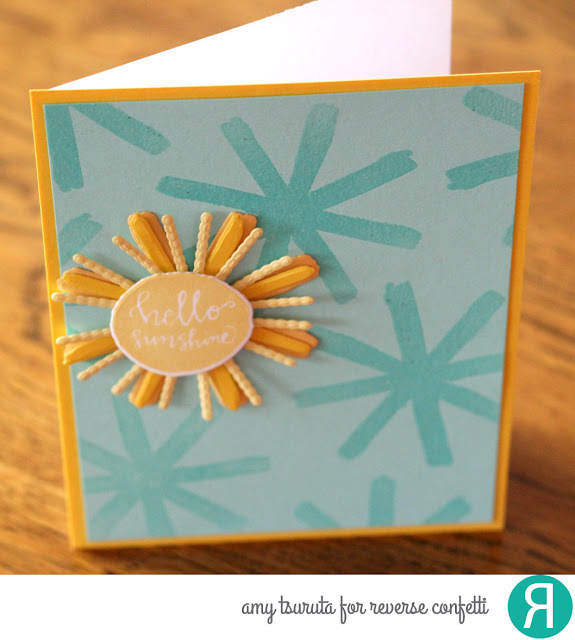 I combined the Bumblebee, Buttercup and Sunshine cardstock for the sun. 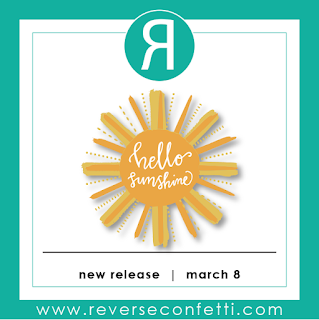 The 'hello sunshine' has been stamped in Bumblebee. I can't wait to hop around and see what my teamies designed! Leave a comment on all the sneak peeks post for each designer. Comments will close at noon CST on March 7th and there will be a $15 Gift Certificate for one blog commenter and also one FB commenter. 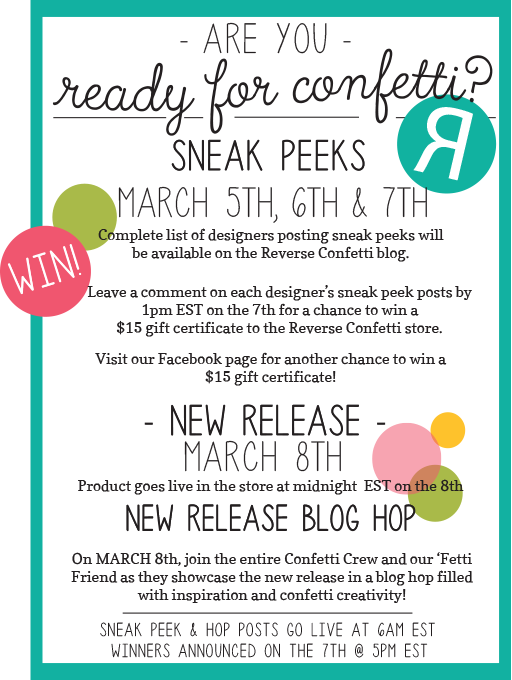 In addition, there will be giveaways daily...make sure you pop over to the Reverse Confetti Blog for all the details! So fun. Love how you created the background and your sunshine is gorgeous. Love that you used just the dies for the rays - I was wondering how that would look and I really like it! Love love love this! LOVING that sun!!!!!!!!!! 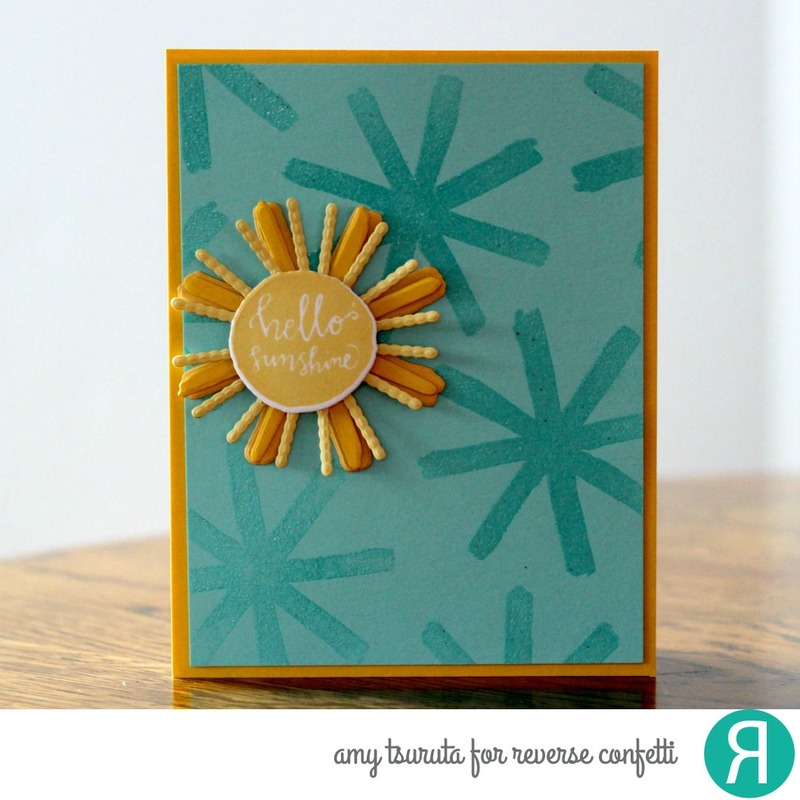 Amy....What a great card, and a great color combo! Must try iced aqua and bumblebee soon. The sun looks so textured! Oh Amy this reminds me of a tropical morning. Warm and wonderful. Love this color combination. Nicely done. Great card, I love the color combination too! Pretty card! Love the My Sunshine set! I like the background for this sun. YOur sun really stands out against the background. I love colors, so bright and cheerful, love the background and all the details. Just lovely. I love how you layered your sunshine! It's so sweet against the blue sky background!